The perfect size for just a bite or two, I find these chocolate dipped beauties to be best chilled, right out of the fridge. I made my own almond butter for this recipe (Blendtec Twister jar and Trader Joe's 50% salt almonds - blended for about 90 seconds) and haven't tried these with store bought almond butter which tends to separate and be a bit more oily. Cooking Light makes their original recipe with reduced fat peanut butter, a firm, not very oily butter. Hence, I would make sure to stir store bought almond butter well, or even perhaps use almond butter with the oil poured off for a thicker butter. Preheat oven to 375º and line baking sheets with parchment paper or a silicone mat. Place the egg white and the salt into a medium bowl and whisk until frothy. Add the almond butter and sugars and stir very well to combine. Set aside and allow to sit for about 10 minutes. 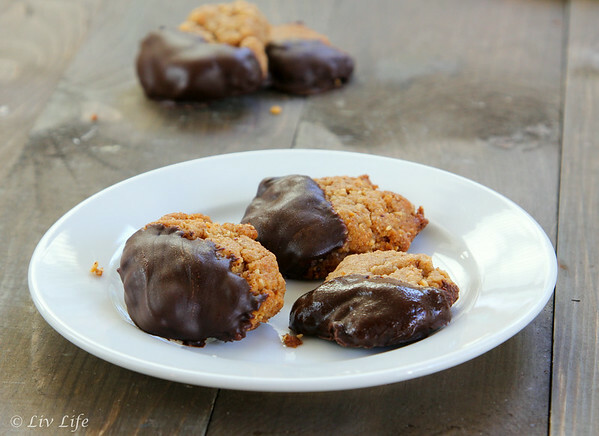 Place tablespoon sized portions onto your prepared baking sheets, and gently flatten each cookie with the palm of your hand or the bottom of a glass (oil the bottom lightly so they won't stick). Bake for 10 minutes, or until lightly browned. Allow to cool on the baking sheet for a few minutes, then remove to a wire rack to cool. When cookies are cool, melt dark chocolate. 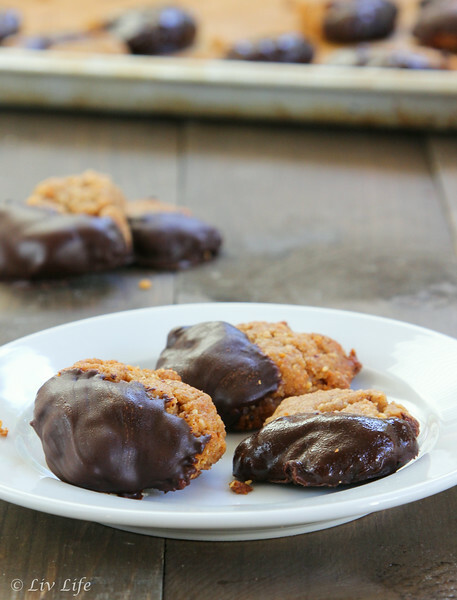 Gently dip each cookie half way into the chocolate and place on waxed paper or a silicone mat to set. Carefully peel the cookies from the paper when set and enjoy. I prefer to store these cookies in the fridge. 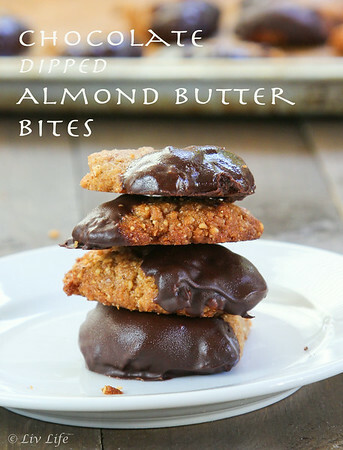 I don't like it when someone in the family starts liking something that I thought would be reserved only for me :) These sound wonderful Kim, what a great idea to substitute almond butter. Now if you could just figure out a way to incorporate a little avocado into the recipe, then I think we could name the cookies after you! Awww, that's so cute he left a note :)) I'm rethinking almond butter now! YES PLEASE! I love almond butter, so good! !